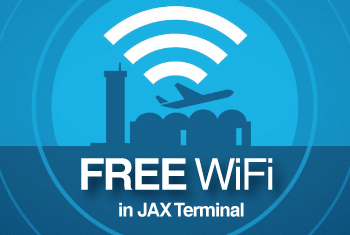 In a move to enhance service and improve the experience of any international customers, the Jacksonville Aviation Authority is supplying tenants and travelers free interpreting services. The authority is partnering with Language Line, an over-the-phone translation company that has interpreters for 200 languages on staff 24/7. In the past, when a traveler would come to Jacksonville International Airport and they weren't proficient in English, the Aviation Authority would use a reference sheet that consisted of staff members and volunteers who might speak other languages. But that system was inefficient, said spokeswoman Debbie Jones, as sometimes a person on the list would not be working when needed, not to mention they couldn't represent even close to the languages a service could. So although the airport doesn't (see) non-English speaking customers too often, Jones said they wanted to have a solution that was consistent and would enhance service. When the guest points to their language, the tenant can then call the operations department of the airport, who will in turn call Language Line. The customer, tenant and interpreter can then speak in a three-way phone call. While the service is free to tenants and customers, Jones said the JAA purchased 100 minutes of the service — she said there aren't enough international customers to justify a full subscription. 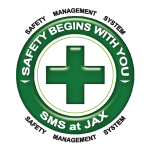 The JAA secured a flat rate of 73 cents per minute, meaning its cost for its full 100 minutes will be just $73. She said over the last few years, needs for translation services have gone up slightly. That number could increase as JIA adds Air Canada to its roster. So far, tenants have been very receptive to the program, which has already been dispersed to them and is now available to guests.